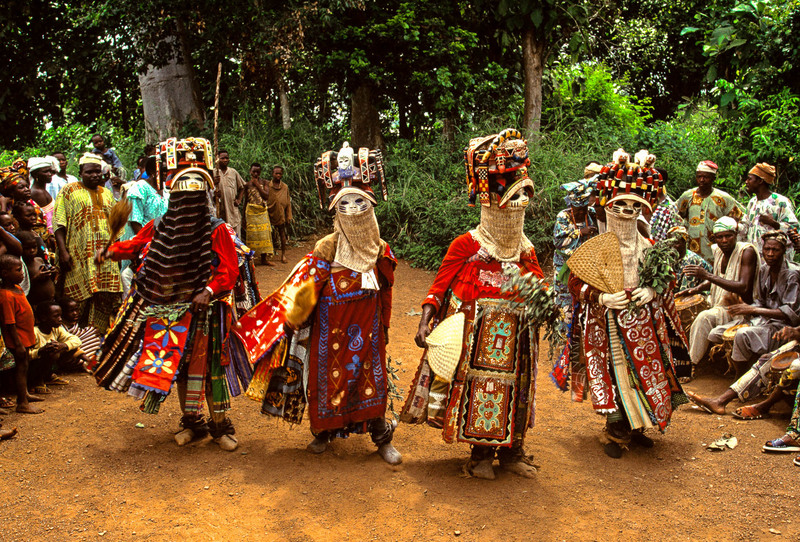 As the masks come out of the forest, they sing traditional prayer songs that invoke divine blessings on the Gelede festival and tell of the hierarchical order of the world. The songs remind people through allegory and riddle to pay respect to those who are powerful, particularly the female elders in Yoruba society. Oro Efe masks feature large, carved headpieces representing various creatures of the bush.